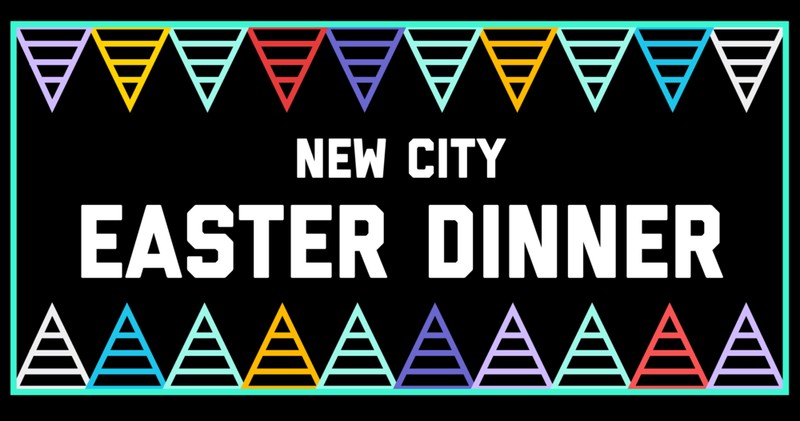 Easter at New City: Launching a New Series! As we've explored over the past forty days, Easter promises a new, subversive life and hope to the world. Whether you've never been to church or haven't been in a long time, this will be a fabulous day to check out New City! We will have extra wonderful Easter food before the service, then we'll move into launching our NEW SERMON SERIES! The theme came directly from the people of color at New City advocating for reconnecting with our bodies. Children's Ministry will be available during the service! The festivities continue that evening! Bring a friend (non-New City people very welcome) and some food. We'll have some Easter activities too, because duh it's New City. If you started going to New City in the last three months, we especially would like you to come!